Experience Melbourne's quintessential Laneways and Arcades on a Hidden Secrets Tour. This voucher is valid for the Lanes and Arcades Walk with unaccompanied lunch. Tour offered Monday - Saturday at 10am. Advance bookings essential. 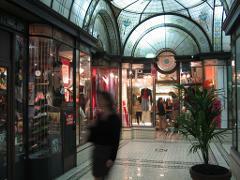 Experience Melbourne's quintessential Laneways and Arcades on a Hidden Secrets Tour. This voucher is valid for the Lanes and Arcades Walk with unaccompanied lunch. Tour offered Monday - Saturday, 10am & 2pm. Bookings essential. 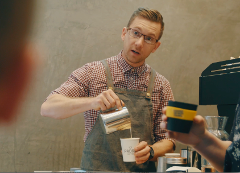 Experience Melbourne's infamous cafe and coffee scene on Hidden Secrets Tours' Cafe Culture Walk. This voucher is valid for the Cafe Culture Walk. Tour offered Monday - Friday at 11am. Advance bookings essential. 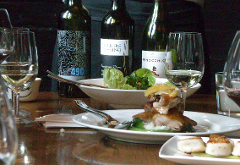 Experience Melbourne's world famous foodie scene on Hidden Secrets Tours' Progressive Degustation Walk. This voucher is valid for the Progressive Degustation Walk. Tour offered Monday - Thursday at 5pm. Advance bookings essential.